As the organization holds these principles so dear at its core, its beloved heroes showcase these admirable traits in every aspect of their lives, both in and out of the cage, inspiring numerous fans across the globe. For a lifelong martial artist like Brandon “The Truth” Vera, these values have played a pivotal factor in shaping his character as an athlete and as a person since the beginning of his professional career. Adulated in the mixed martial arts world as one of the best heavyweights in the sport’s history, there is one specific quality that he has developed during his martial arts journey—integrity. “I think a man’s worth is as good as his words carry,” said Vera when he was asked about his description of integrity. The 41-year-old native of Norfolk, Virgina learned the importance of integrity at an early age through the father of his wrestling teammate named Virgil Stevenson back in high school. “And then he said, ‘A man’s word is worth a lot.’ That coolant was so meaningful to me. I will remember it forever. It took me a long time, but I finally got him that bottle of coolant back. That’s the first time I encountered that trait,” Vera added. Vera’s concept of integrity became more ingrained when he enlisted himself in the United States Air Force. “Integrity is a value, like persistence, courage, and intelligence. It is your choice of values and resolution to live by those values that form your character and personality. And it is integrity that enhances all your other values,” he stated. “The quality of person you are is determined by how well you live up to the values that are most important to you. Integrity is the quality that locks in your values and causes you to live consistent with them,” Vera explained further. From the time that he realized the essence of and concept of integrity, Vera decided to live by it and make it part of his lifestyle. “When I say something, it’s going to happen. If I say that I am going to be there at a certain time, unless something crazy happens, I will be there on time,” he shared. For the past two years, Vera attended to commitments that were completely unrelated to mixed martial arts, making his ardent followers and critics alike to question if his heart was still attuned to the sport. Vera promised to return and compete inside the cage. In November of last year, he held true to his word. 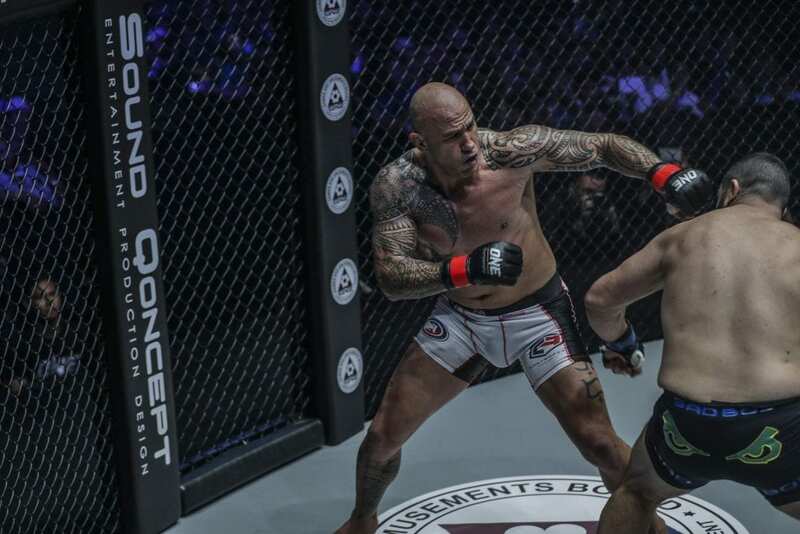 He successfully defended his heavyweight belt against Italy’s Mauro “The Hammer” Cerilli in the main event of ONE: CONQUEST OF CHAMPIONS. “The Truth” displayed his impressive timing and accurate striking in front of his countrymen en route to a 64-second knockout victory. “I just kept my word. When I said that I would be back, it did mean it,” Vera stressed. For Vera, he is just following the trail of what he wants to do, which includes mixed martial arts, movie projects, endorsements, and, eventually, a run for political office. “I positioned myself to become the ‘Filipino Truth,’ wherein you can follow the path I will lay out for you so you can see where I want to go,” he mentioned. After successfully defending his title for the second time, Vera wants to pursue his dream to compete in “The Land Of The Rising Sun” and be a part of ONE: GREATNESS UNLEASHED—the promotion’s second live event in Tokyo, Japan on 11 October. He already has the perfect opponent in mind for his potential bout in Japan. 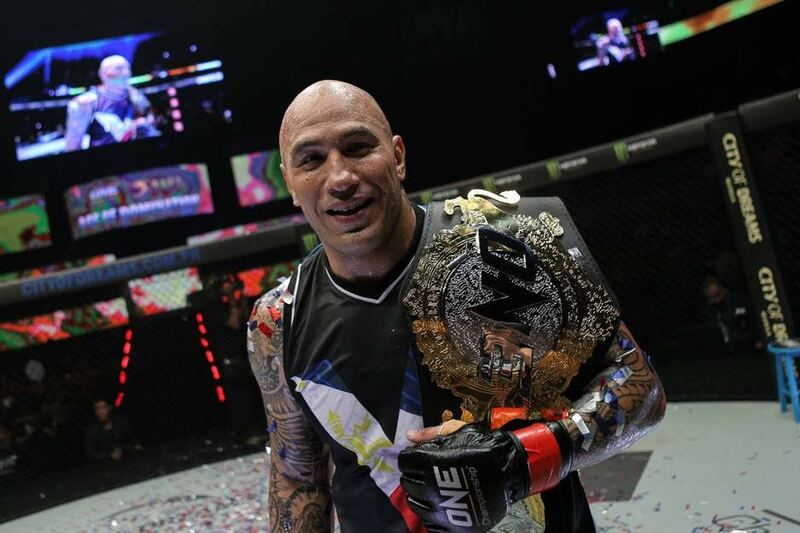 Vera revealed his intention of moving down a division to vie for the ONE Light Heavyweight World Title, which is currently held by two-division ONE World Champion “The Burmese Python” Aung La N Sang. “I would love to fight in Japan in October next year, and challenge whoever has possession of the light heavyweight belt,” he said. Whether he gets the title shot he is hoping for or not, Vera’s ultimate goal is to go down in mixed martial arts history as one of the greatest competitors to ever set foot in the cage.